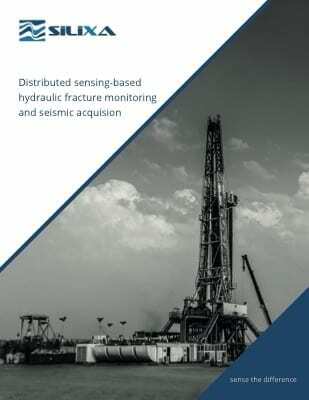 Silixa's ArrayFrac™ Hydraulic Fracture Monitoring | Microseismic Strain Monitoring | Silixa Ltd. Completion and fracture operations in unconventional wells can comprise 50% or more of the total well cost. Silixa’s ArrayFrac™ fracture monitoring services maximise well productivity. Understanding the effectiveness of the fracture completion is a critical piece to optimise well cost and improve overall recovery. The application of distributed fibre optic measurements is now allowing operators to have a better understanding of the different completion designs and how they can optimise those designs for specific formations and areas. Silixa is focused on delivering high quality, high resolution acoustic (iDAS™) and temperature (ULTIMA™ DTS) measurements that are setting the standard in the industry. Silixa’s iDAS provides a true acoustic measurement in amplitude, phase, and frequency with an industry leading spatial resolution of down to 2m. This allows us to provide higher resolution, higher quality real-time data for completion allocations that allow to make better decisions faster to optimise value. Typically, the optical fibre cable will be placed on the outside of the production casing on a plug and perforate completion which requires a specific installation technique and oriented perforation solution (cable mapping) to ensure the cable is preserved throughout the completion phase and beyond. The optical fibres provide an in-situ sensor array that makes it possible to acquire temperature and true acoustic information at every point along the cable path. This is a unique sensing scenario where the introduction of other sensors such as on wireline is highly impractical in the treated well. 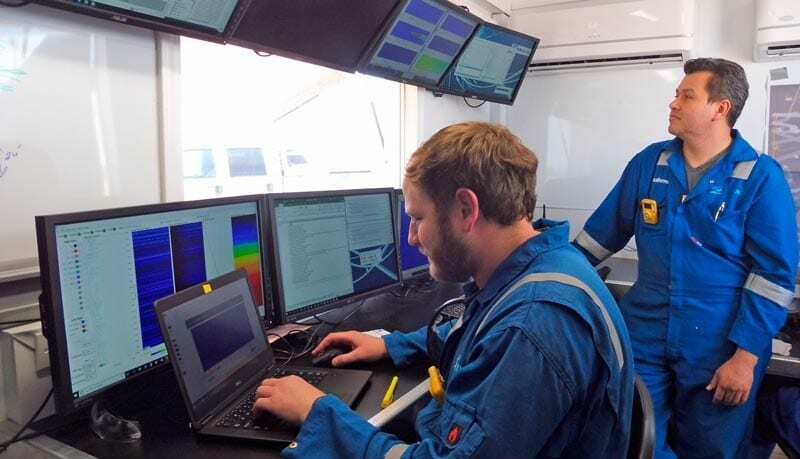 Acoustic and temperature data is acquired continuously giving the user a complete picture of where fluid and proppant are going in the well. Individual perforation clusters show up as active or inactive and more detailed analysis of the data indicates the relative amount of slurry that is taken by each cluster in a stage giving a unique insight into the effectiveness of the fracturing process. Silixa’s fracture monitoring package includes a mixture of real-time visualisation, near-real-time processing and display and post survey analysis designed to give the stimulation engineer the tools to make confident on-the-fly decisions about pumping, rapid decisions about the adjustment of subsequent stages and properly informed decisions about future well placement and completion strategy based on fundamental acoustic and temperature responses to fluid movement. This service is enhanced by the application of Silixa’s unique k-w processing which allows intervals of acquired acoustic data to be processed through to fluid speed of sound and flow velocity answers which can give calibrated references for downhole slurry density and hence proppant concentration and also flow rates in a given tubing size. A further enhancement to the suite of measurements incorporates an iDAS enabled optical surface flow meter placed on the flowline to continuously monitor the rate of fluid being pumped into the well and the proppant/water fractions. This information is then recorded alongside and seamlessly integrated with the downhole acoustic and temperature data. 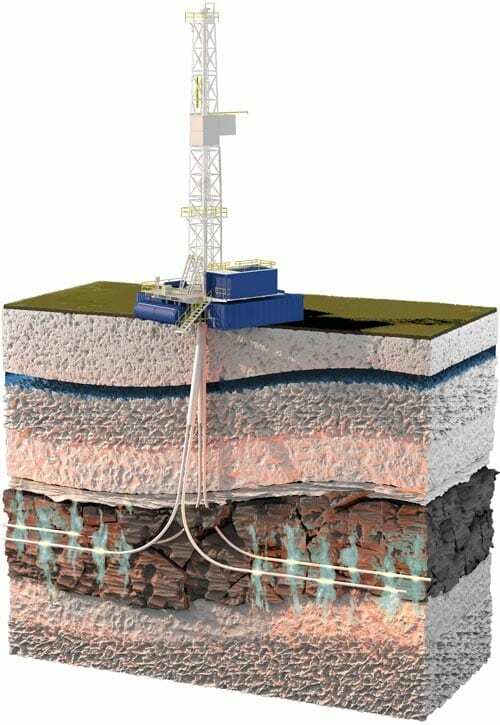 Silixa can integrate third party data such as depth based petrophysical logs and time based pump pressures into the larger data set so that composite data presentations give the end user a comprehensive view of the downhole environment and stimulation conditions. With a fibre optic cable in place the sensor array intended for fracture monitoring can then become a versatile monitoring system for the life of the well, allowing for objectives such as cement evaluation, flow-back and production monitoring, seismic surveying and well integrity surveillance to be accessed as required and without further intervention.